Got to see an advance screening of the film The Way, Way Back brought to you by the team who gave us The Descendants(2011) and i must say, it was brilliant. The story follows a 14 yr old boy(played well by Liam James) as he spends his summer vacation with his mother(Toni Collette), her boyfriend(Steve Carell), and his daughter(Zoe Levin). 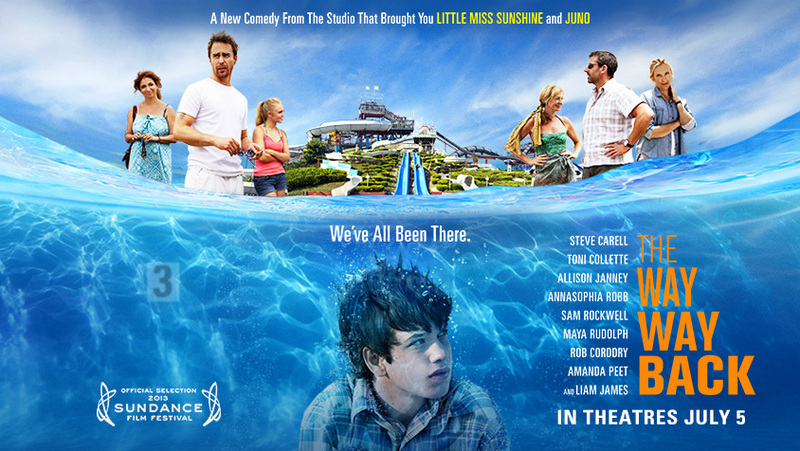 The person who steals every scene in the movie is Owen(played by Sam Rockwell), who owns the water park where Duncan(Liam James) decides to get away. Duncan(Liam James) is your typical awkward, wants to be alone type teenager. The film opens up with Trent(Steve Carell) labeling Duncan a 3 out of 10. You can see what kind of person Steve Carell’s character is just by the opening minutes. The four are spending their summer vacation at Trent’s summer home much to Duncan’s dismay. There he meets Trent’s friends(Amanda Peet, Rob Corddry), their outspoken lovable neighbor(Allison Janney) and her daughter(Annasophia Robb), who seems to be the only person who wants to talk to Duncan. The only place Duncan feels comfortable is at the Water Wizz water park ran by Owen. 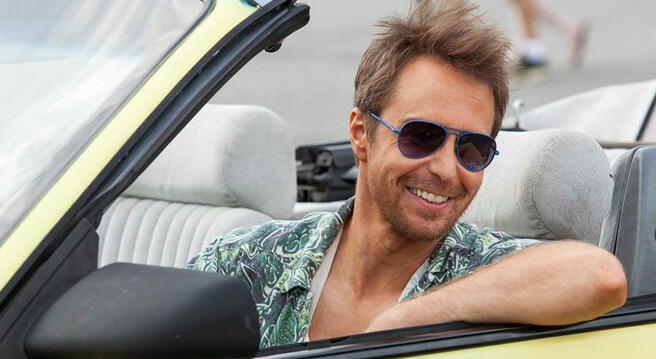 Honestly, Sam Rockwell is the perfect choice for this role. Picture a teenager in an adult’s body. He takes Duncan under his wing and helps him find himself(while also letting him work at the water park). With Owen’s help, he is able to see that he is not a “3”, but way, way more. Everybody loves a good coming-of-age movie, and ladies and gentleman, this is it! 8/10.